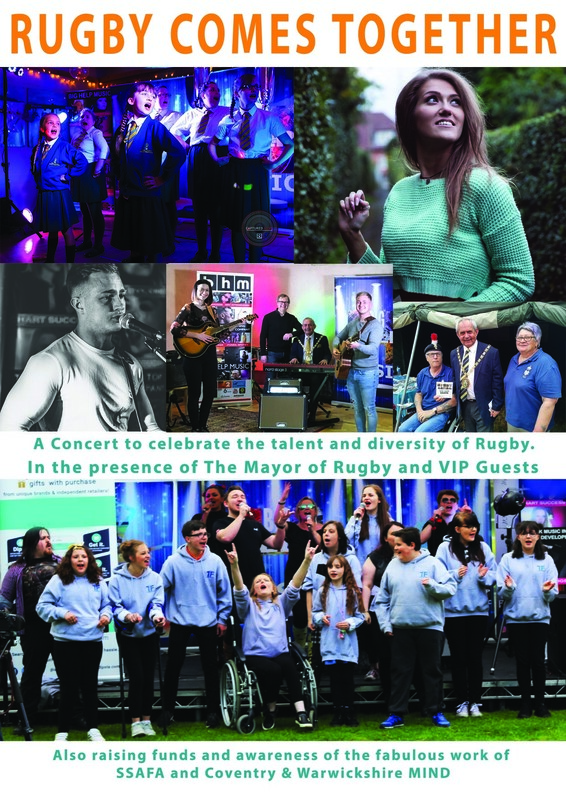 RUGBY COMES TOGETHER is a musical celebration of the diverse talent and creative spirit of the people of Rugby in a Fabulous Family Show. A musical snapshot of a “Year of Service” from the Mayor of Rugby, the show will feature some of the very best of what Rugby has to offer - including appearances by artists, choirs and dancers that have been part of that year. Featured solo artists will include Motown/Soul Artist Lorna Dea who supported Paloma Faith at London’s O2 Arena, Kieran Taylour - the winner of Rugby’s Got Talent and Top 5 Chart success with his recent mini album, Rugby’s very own Guitar Orchestra and many more. Prepared to be amazed by the debut appearance of Rugby’s brand new branch of “The Invisible Friends” - a choir of young singers with invisible illnesses - and you will love the performance from the Cadet Band with their legendary Drum Major. Rugby’s younger stars will also be making an appearance and you can expect to see some surprise moments as many of these acts collaborate on stage for the first time .. all in the spirit of RUGBY COMES TOGETHER.